We work with different handhelds using the following Operating Systems: Apple iOS (iPad/iPhone/iTouch), Google Andriod, Microsoft Windows Phone OS, Blackberry OS, BREW, J2ME, Microsoft Windows Mobile CE, and Web OS. We develop solutions the lastest methodology and frameworks that allow for rapid deployment and sophisticated user functionality. Our mobile solutions work in the disconnected wireless world whether it be 802.X, GPRS, CDMA/GSM, Bluetooth or just old fassion cradle synch mode. Data synchronization is programmed so as to ensure accuracy of data yet reduce load on the network, especially valuable in case of expensive and low bandwidth wireless connectivity. 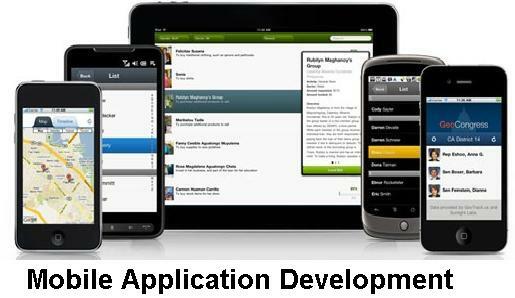 We have experience in development Mobile apps and games to run on iPads, iPhone, Blackberry, Microsoft Windows Phone OS, Android phones. Our strengths lie in building custom handheld tools that integrate with Enterprise Solutions such as ERP systems, Sales force automation and CRM applications. Our significant experience using the Microsoft ASP.NET MVC framework means we deliver reliable solutions that target mobile web browsers across multiple devices. We have extensive experience in developing mobile web site hybrids, which run from a web view within an native mobile application. Hybrid methodology offers many benefits such as storage, security amongst other features. Clients who wish to successfully compete in mobile world like to build websites to fit the small screen areas and use minimalistic design approach. User friendly design is the key to this medium.